We hope you had a great Thanksgiving and are ready to kick off the Christmas season. We sure are so we've added Christmas songs to the mix starting this week. We also have new music by S.O. and a new-to-the-show song by Bizzle. Mr. J Medieros made the Fa Sho Shot and K.A.S. is featured in the Phat Freestyle of the Week. We hope you all enjoy the show as much as we did producing it. Let us know if you ever want to request a song by calling 775-375-KMRS or letting us know on Twitter at www.Twitter.com/KingdomMindedRS or our Facebook page at www.Facebook.com/KingdomMindedShow. You can download the show here for FREE. Happy Thanksgiving! We hope you are blessed by the helping of Christian hip hop and R&P this week. We have new music by Applejaxx, Scooda, Black Knight, and Identity. 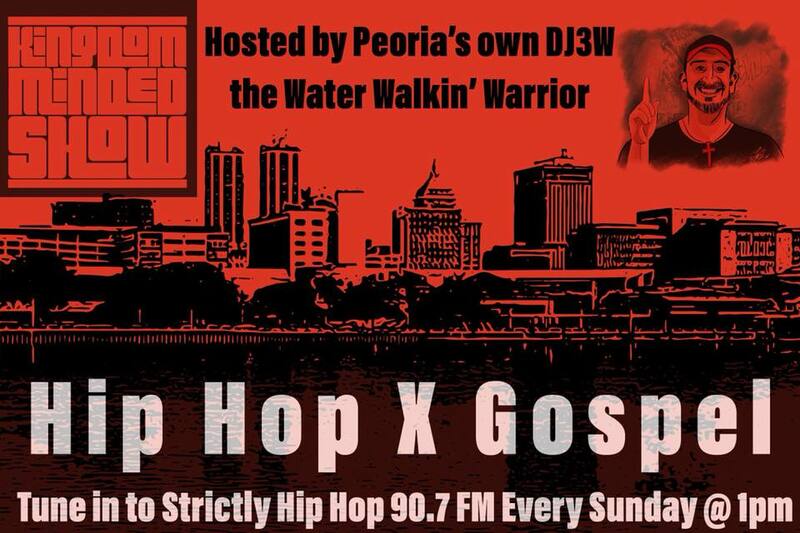 We also are giving away a FREE CD by Cy to the first caller after we announce it during the 2-4 CST airing on WAZUFM.org or 90.7 FM in Peoria, IL and the 7-9 EST airing on GhettoGospelRadio.com. We'll announce the winners here and on the Facebook page. The contest is limited to residents of the United States. If you've been blessed by the show, we'd love to hear your testimony. Feel free to comment on this page or e-mail it to us at KingdomMindedRadio@Gmail.com. You can download the show for FREE here! Thanks for checking out the playlist for this week's show. We have a tribute for the veterans and their families at the end of the first hour and new music from Kareem Manuel, Da Truth, Wes Pendleton, and Timothy Brindle. There's plenty of bangers in the playlist too on top of the newness. Enjoy! You can download the show for FREE at the links below. We're back this week with a fresh show. Thanks for bearing with us as we've had a pretty busy month. We deejayed our first wedding and it was a hit. Then last week was a worship conference at the Water Walkin' Warrior's church. There are new singles on the show this week by Stephen Brindle, Black Knight, Cash Hollistah, Brinson, 7vnseal and our very own Mr. Rob and friends from his first album called "Project 309". We hope you are encouraged by today's show. We included some songs toward the end of the second hour dedicated to anyone affected by Hurricane Sandy. You are in our prayers and you are not forgotten. God sees you and what you are going through. Oh yeah...head over to our Video page to see Brinson's dope new video for "Hit The Floor" while you're here too. Feel free to download the show here.